Get £5 FREE spending money when you open a Curve card with this promo / referral code. Manage all of your bank accounts from one smart card using a super neat app. This Curve promo code is proudly presented to all TroopScout users: serving members, ex-forces, and family. Click ‘Get Code’ to get the free promo code and open the Curve website. Enter your mobile number and click ‘Download Curve’. You will receive a text message from Curve. Click on the link to get to the App Store or Google Play Store to download the app. Open the app, enter your email address and click ‘Get Started’. Create a password or use a Magic Link to log in. If you used a Magic Link, click the link in the email to log in. Create a new account by clicking ‘I want to choose a Curve Card’. Select your card and click ‘I want the Curve Card’. Enter your personal details. Click ‘Next Step’. Select your employment type. Click ‘Next Step’. Select which industry you work in and then click ‘Next Step’. Enter your postcode and click ‘Find Address’. Select your address and then click ‘Next Step’. Double check your home address details and then click ‘Next’. Enter the TroopScout voucher code into the box labelled ‘Promo Code’. Click ‘Next Step’. Double check your personal details to verify your identity and then click ‘Confirm’. 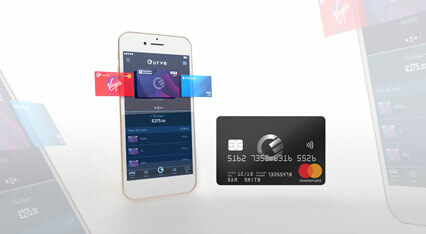 Start adding your bank cards to Curve! How to refer friends with your promo code and earn more £5 rewards! Once you’re signed up with Curve, why not help spread the word with your own referral code? By referring friends and family, you and your friend will receive £5 every time they use your personal promo code! We all know it can get pretty confusing having too many bank accounts and cards. Enter Curve. Curve brings all of your accounts together and puts them all onto one smart card to make life a little simpler. In doing so, with Curve you can easily manage your finances with one card and an easy to use app. With no hidden fees when spending abroad and instant intelligent fraud protection, managing your money whilst travelling just got a whole lot easier. Take just one card with you when you go on holiday and spend from any of your Visa or Mastercard accounts by switching accounts through the app! Curve also know how our spending can get out of control when we’re not paying attention. That’s why their daily instant updates are a great help in saving money too. With many more fantastic features, discover all the benefits Curve can bring you on their website.